Over the last decade Bogner Amplification have achieved a legendary status among fans of boutique amps. Bogner’s best-known design is probably the Uberschall-model, which is aimed squarely at the connoisseur of high-gain amps. But the company also build several vintage-inspired amps, one of which is the Bogner Goldfinger combo. 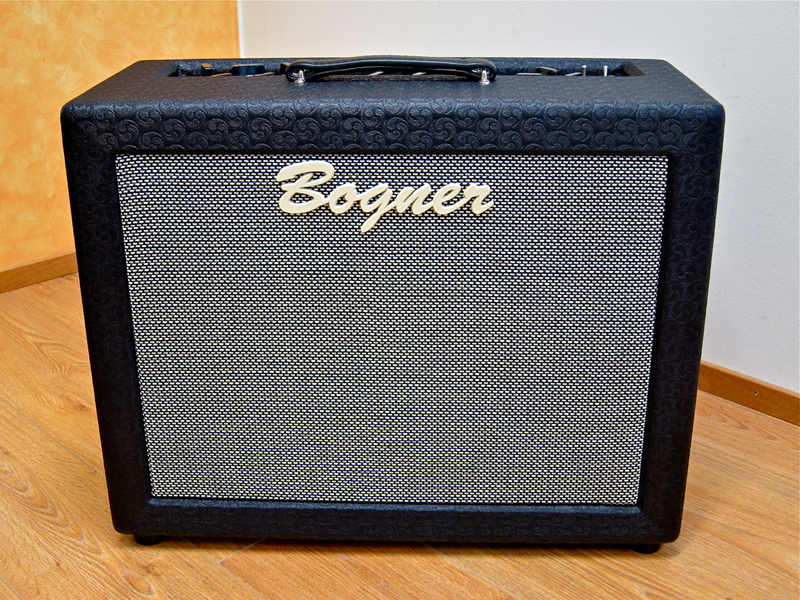 Bogner’s Goldfinger 45 1×12 (current price in Finland: 2.946 €) is quite large for a 1×12”-combo. Its dimensions are in a similar league as the 2 x 12 Vox AC30. The reason behind the large and deep cabinet lies in the fatter tone it produces. The Goldfinger’s preamp section has been designed around four 12X7- and one 12AT7-valve, with the main amplifier running a quartet of 6V6-types. The combo is rated at 45 Watts, but its power can be reigned in using the front panel’s Standby/Hi/Low-toggle, as well as the Full/Half-switch around the back.